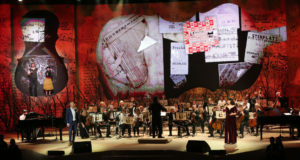 Italian composer Professor Francesco Lotoro has made it his life’s work to track down and orchestrate the written and oral pieces composed by prisoners in the Nazi concentration camps, salvaging over 8,000 musical works from around the world over the past three decades. 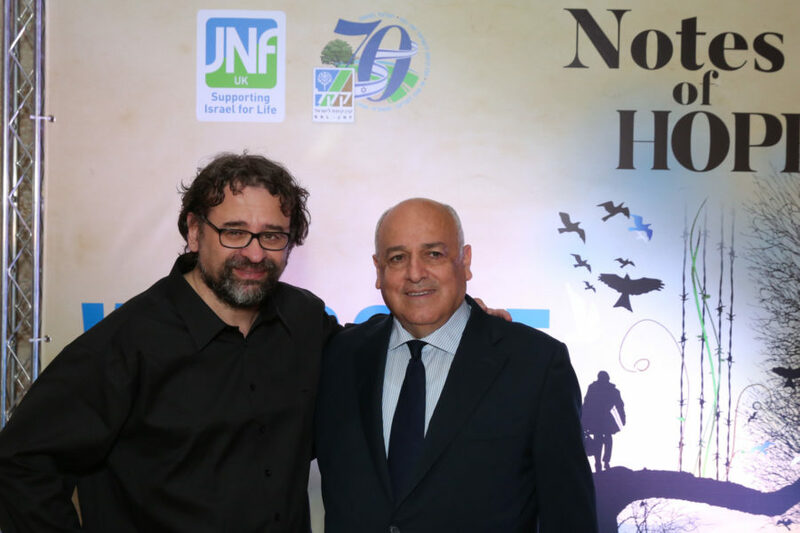 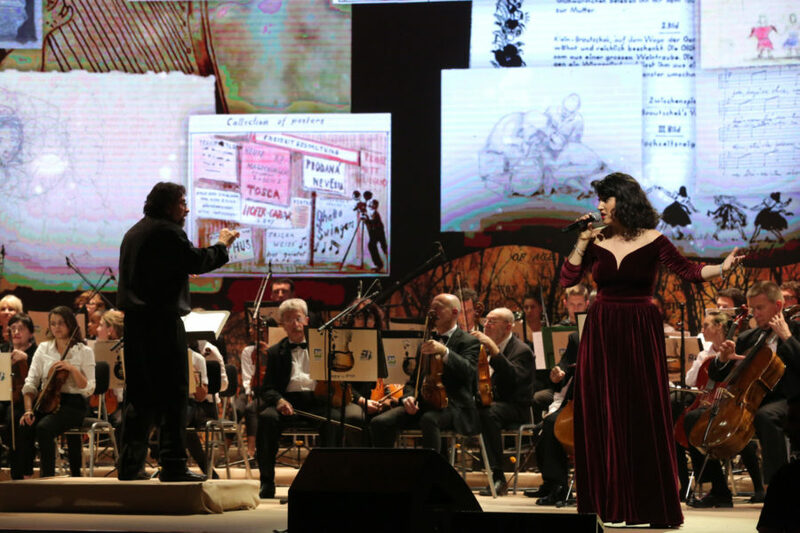 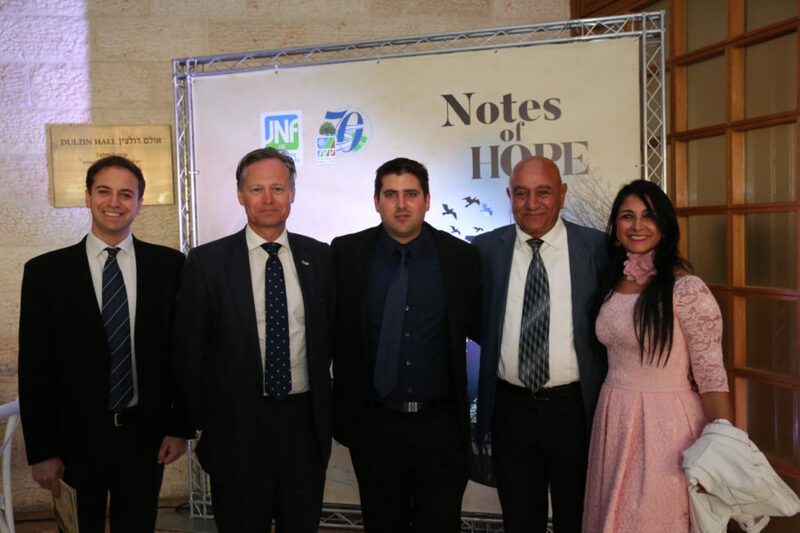 On April 15th 2018, Lotoro conducted the JNF UK Notes of Hope concert in Jerusalem – the debut public recital of a selection of the rescued works, led by the world renowned Ashdod Symphony Orchestra. 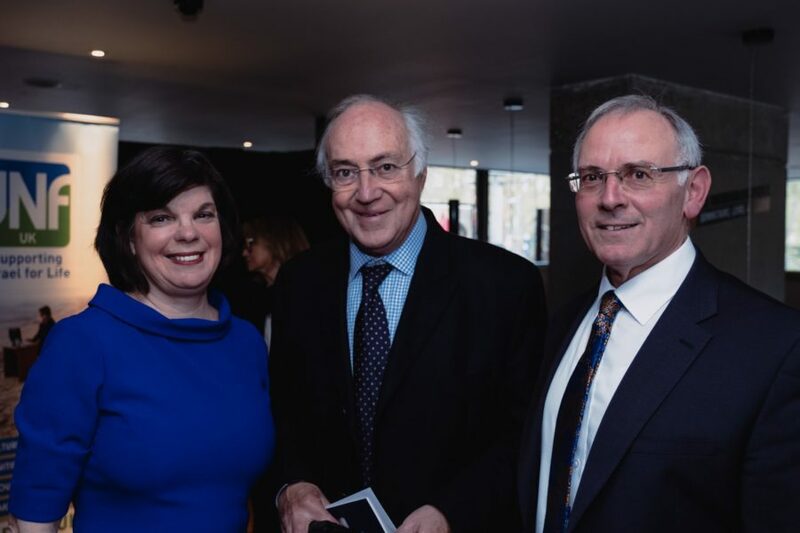 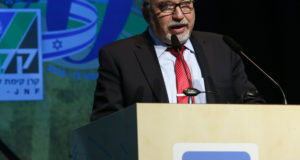 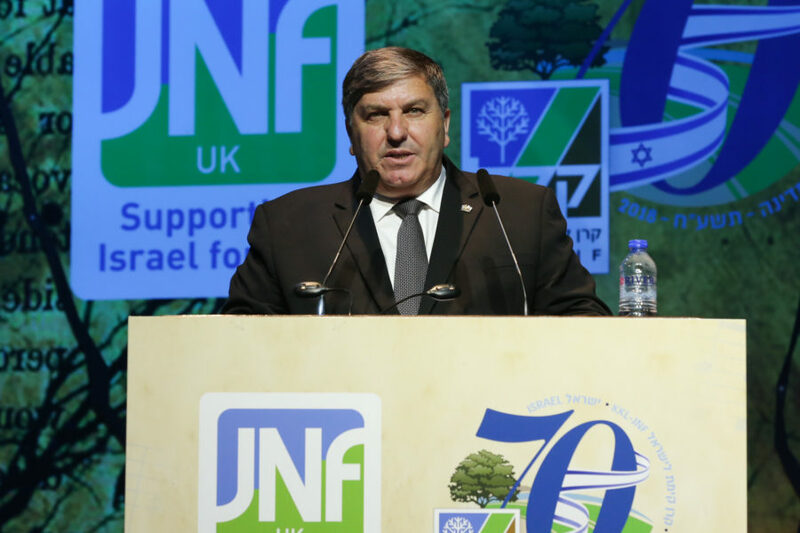 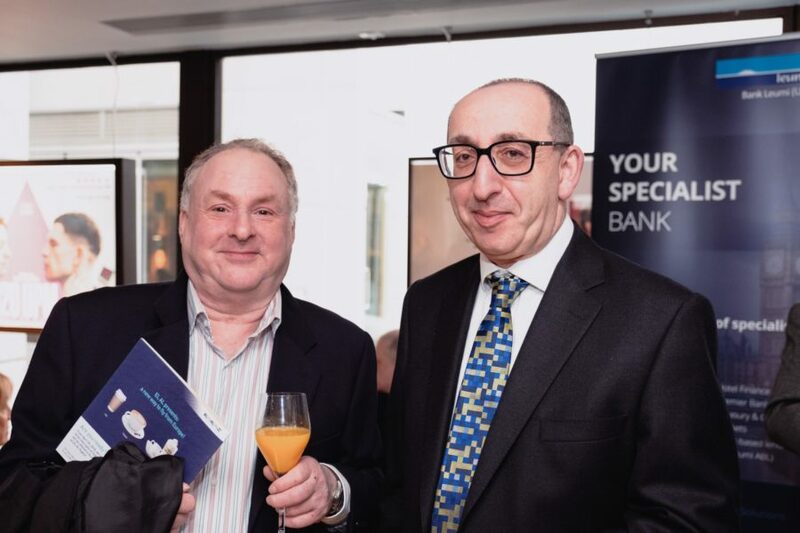 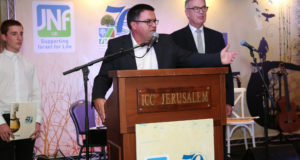 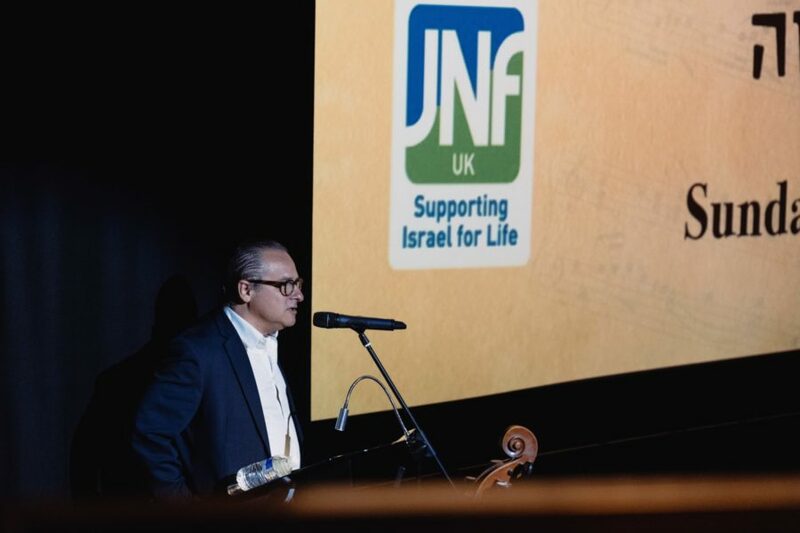 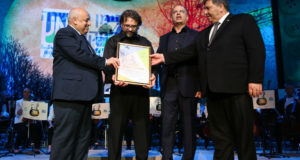 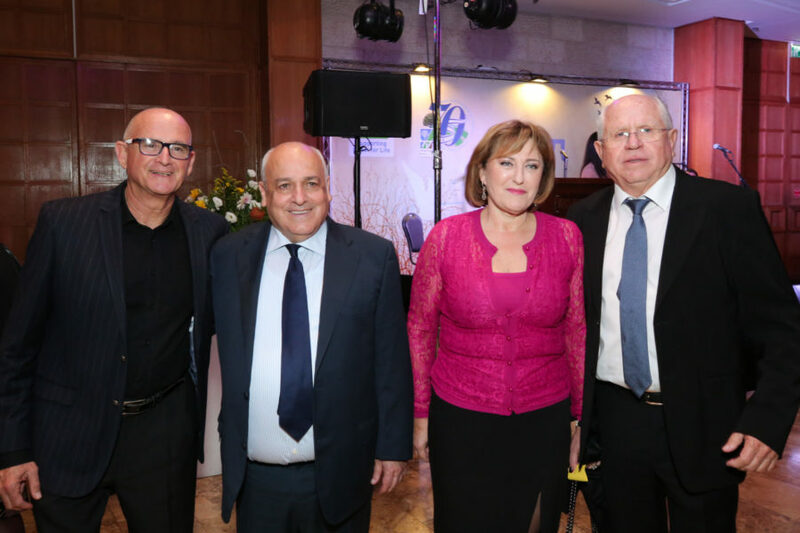 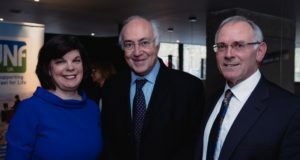 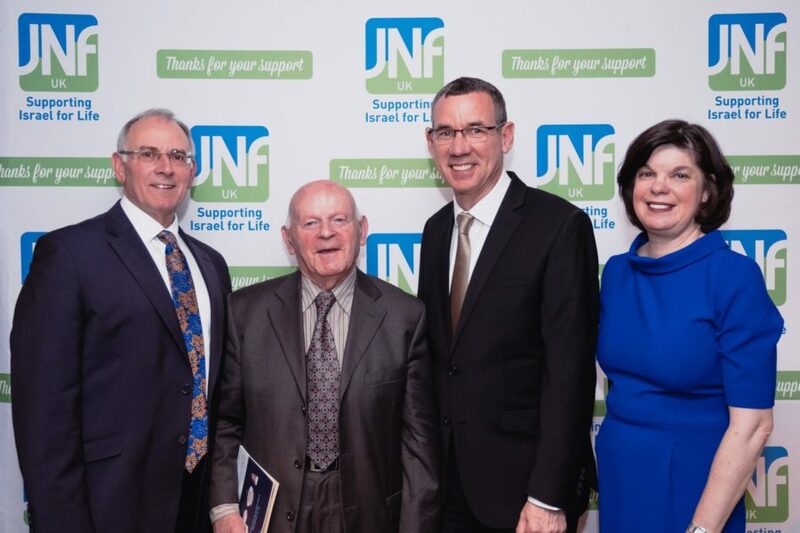 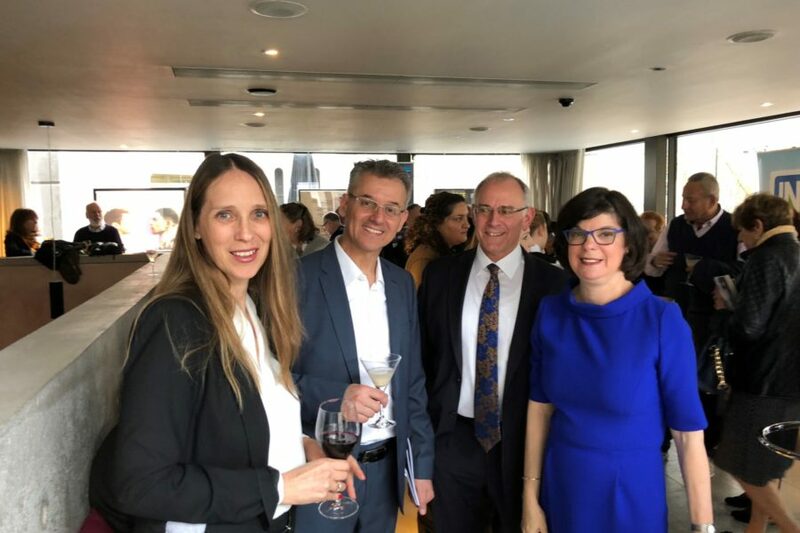 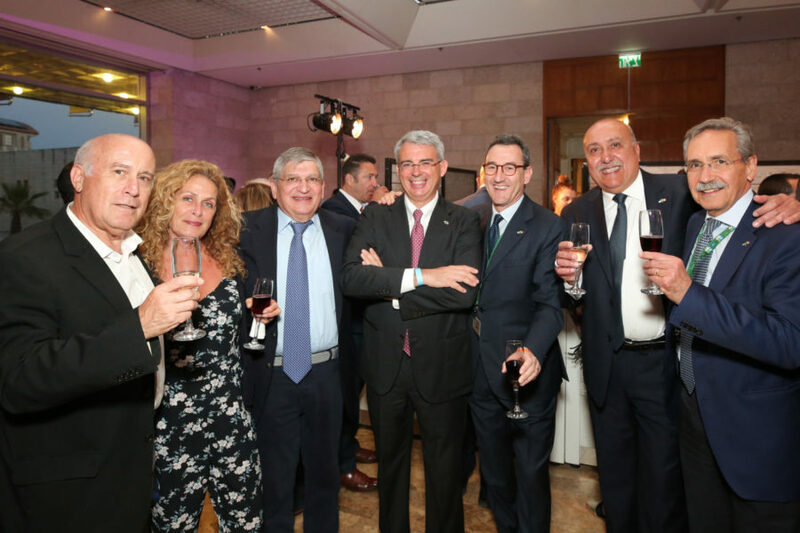 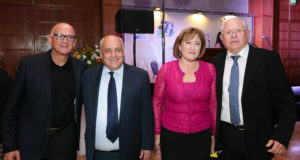 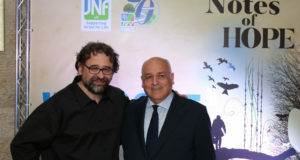 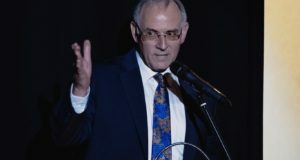 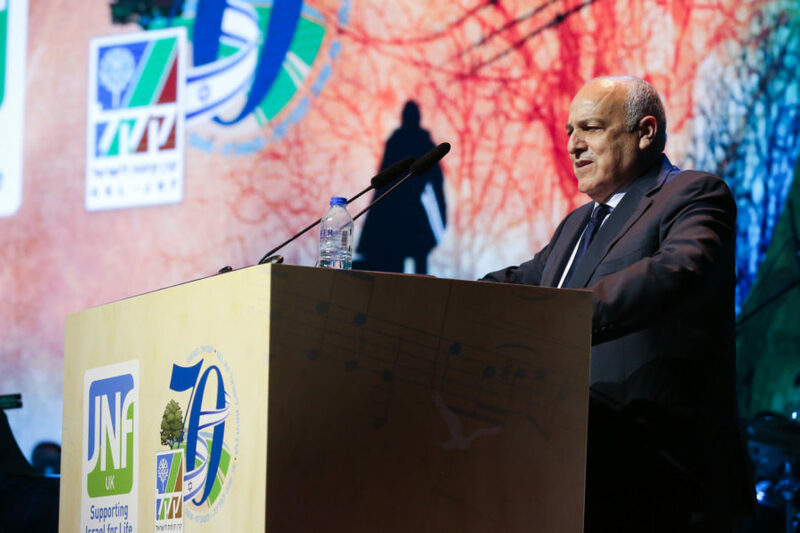 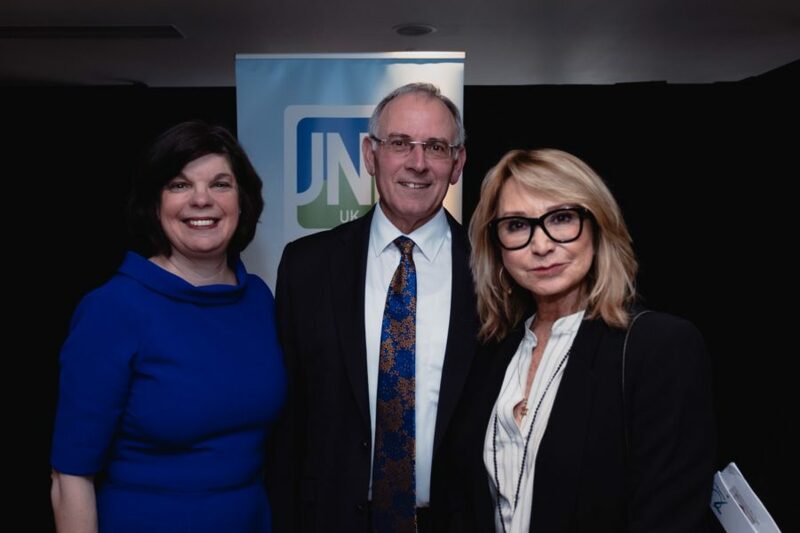 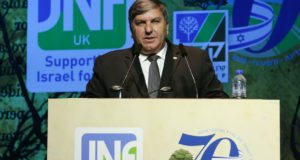 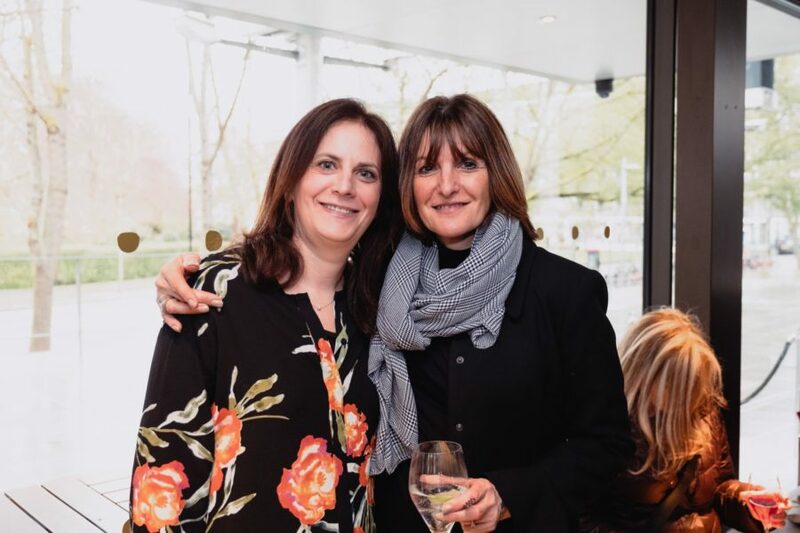 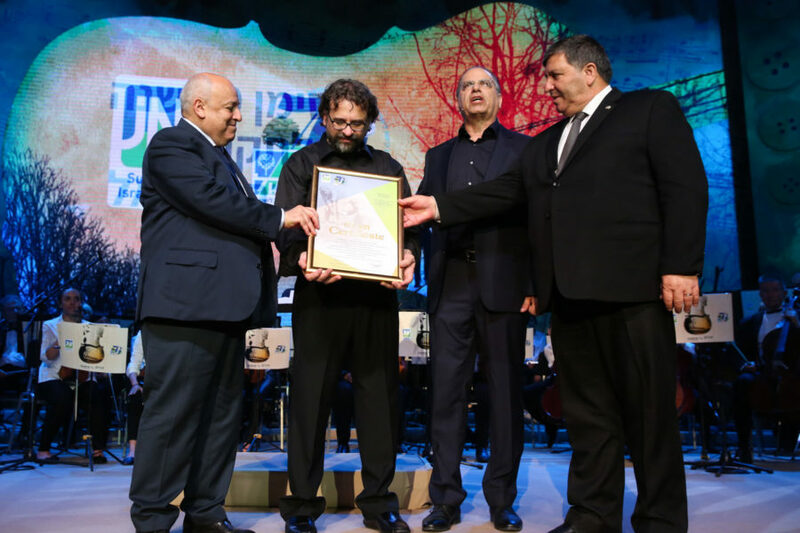 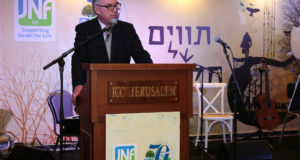 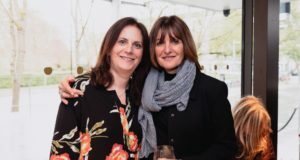 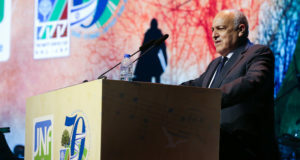 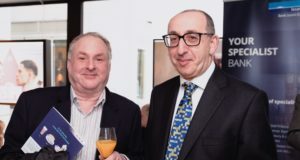 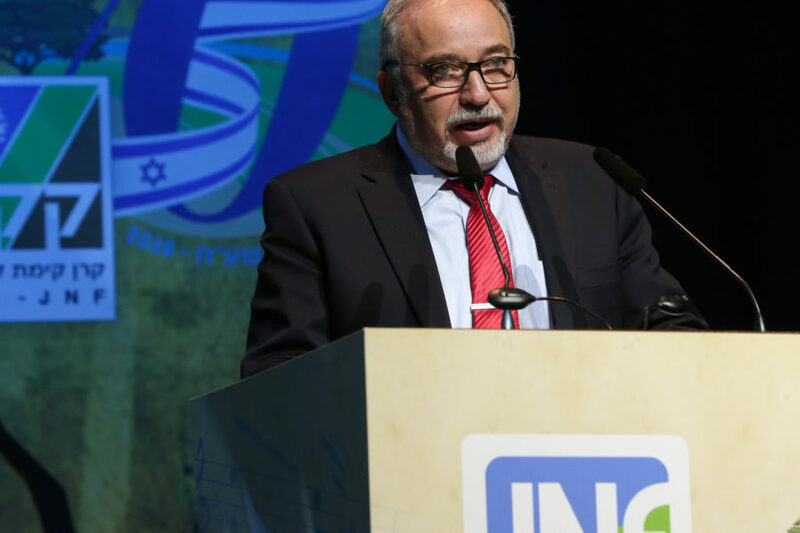 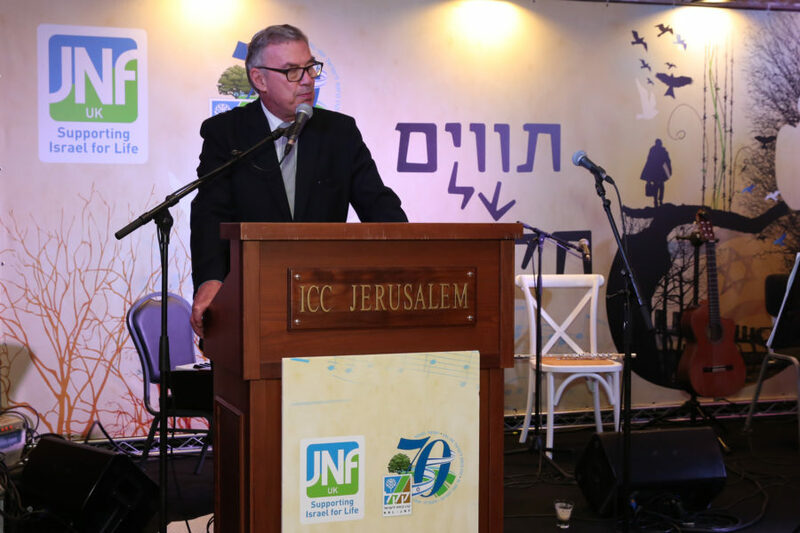 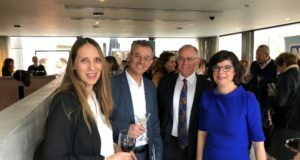 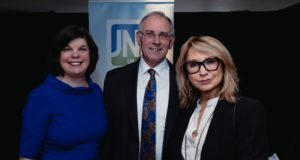 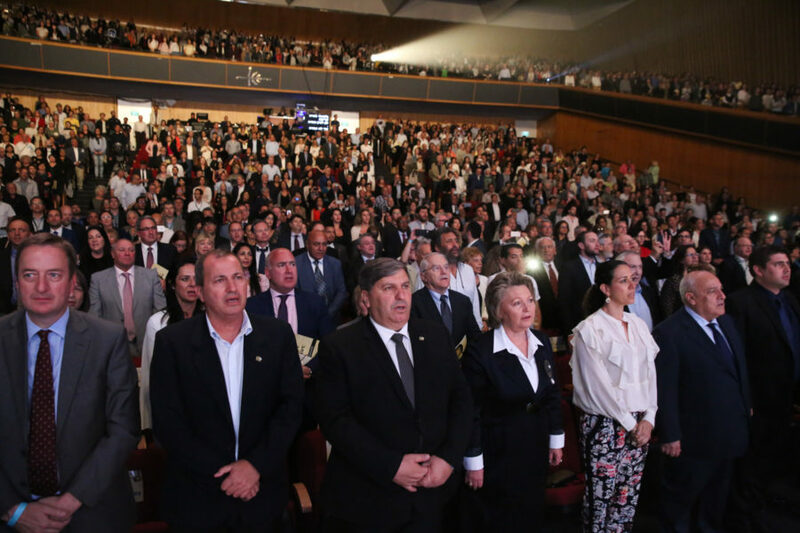 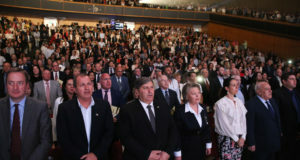 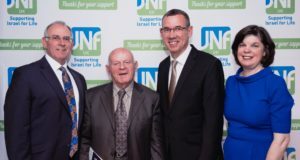 The concert – attended by thousands of guests and Israel’s Minister of Defence – was staged by JNF UK to celebrate the 70th anniversary of the founding of the State of Israel and to raise awareness of increasing levels of global antisemitism and holocaust denial. 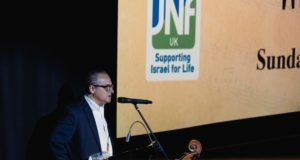 Anti-Semitic incidents increased by 30% in the UK alone in 2017, while global Holocaust denial is also on the rise. 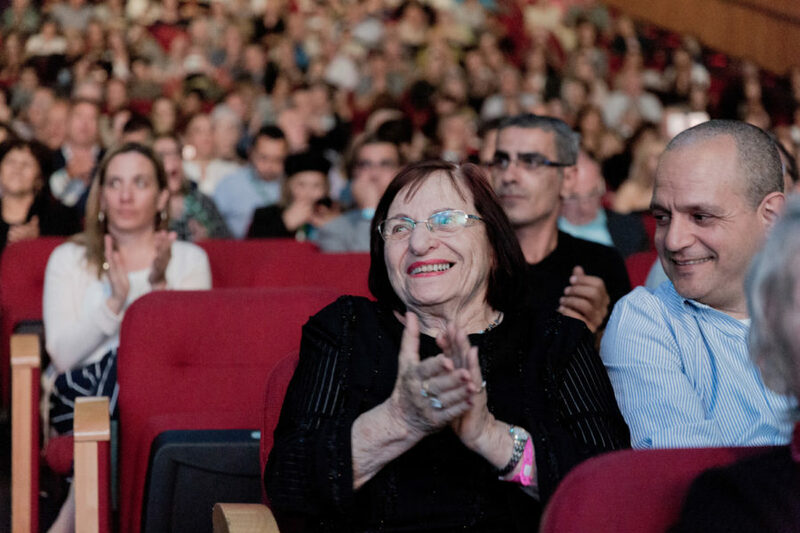 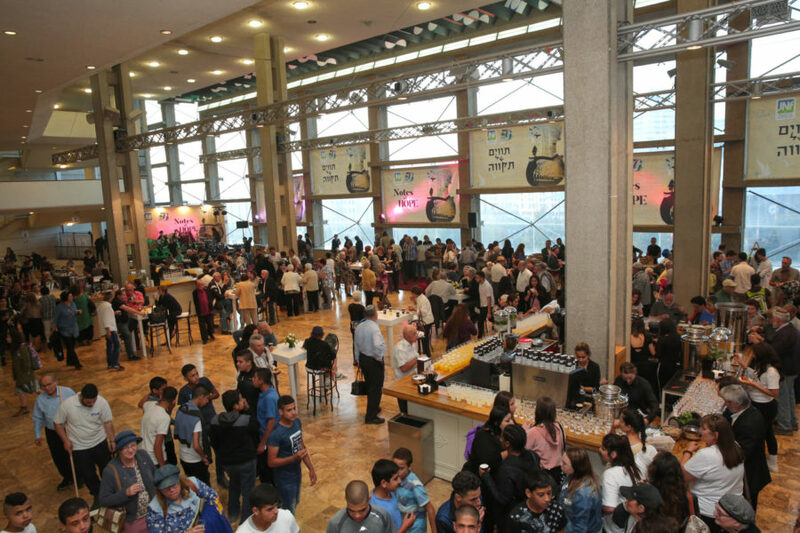 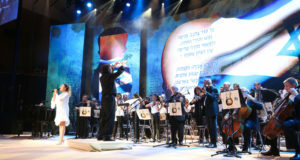 Children from two musical schools funded by JNF UK on the peripheries of Southern Israel – same of whom lost relatives during the Holocaust – also performed alongside the Ashdod Symphony Orchestra at the concert. 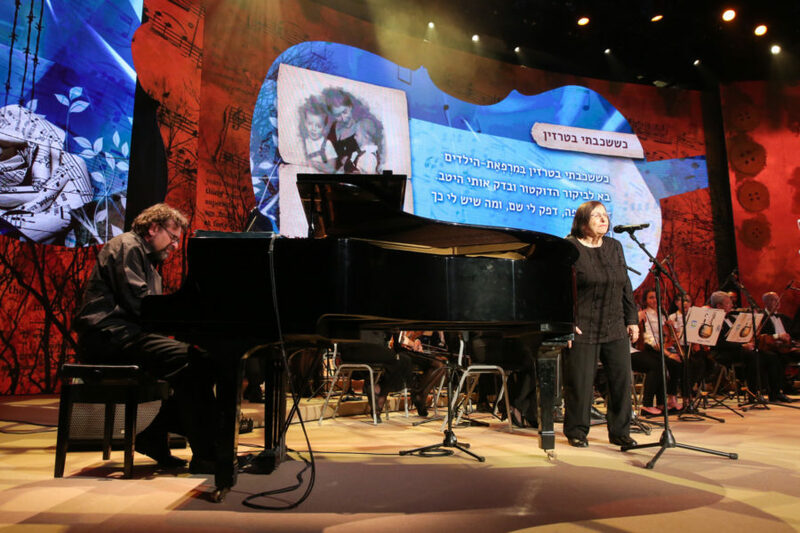 Behind every featured piece is a story of suffering and resilience. 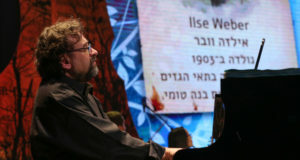 While working as a nurse at the Theresienstadt concentration camp, the famous Jewish musician Ilse Weber taught a melody to the camp’s young children. 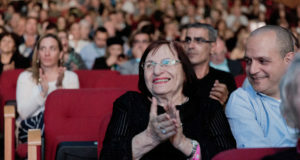 When Weber’s husband was deported to Auschwitz in 1944, she voluntarily transferred to the camp with their young son in an attempt to keep the family together. 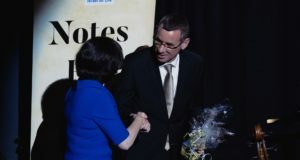 Both were however gassed upon arrival. 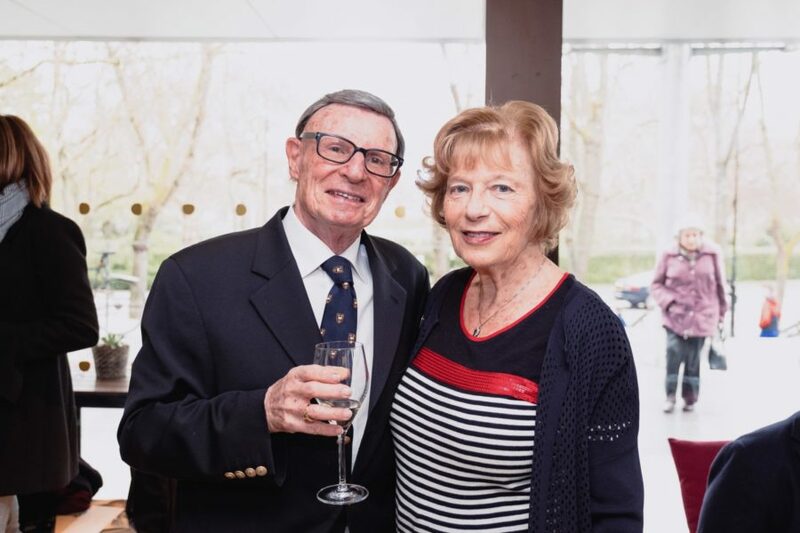 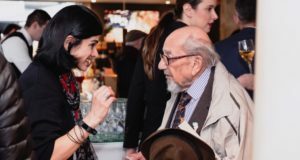 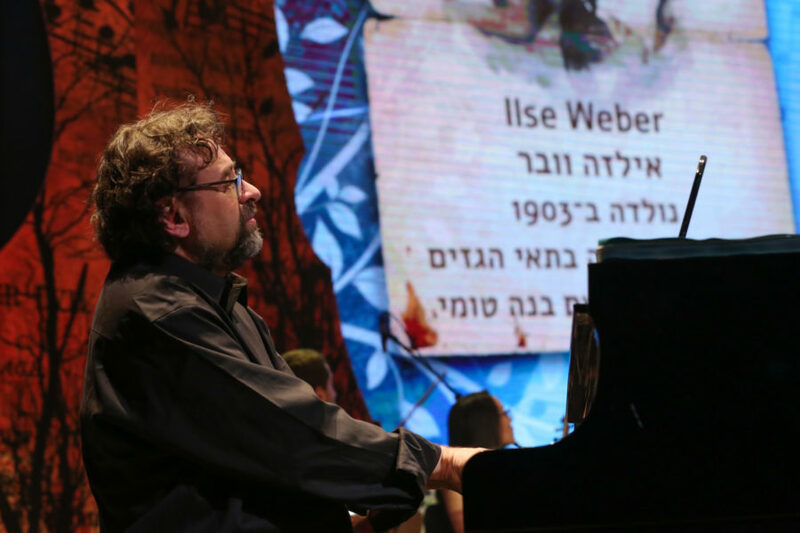 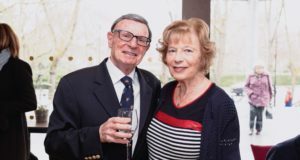 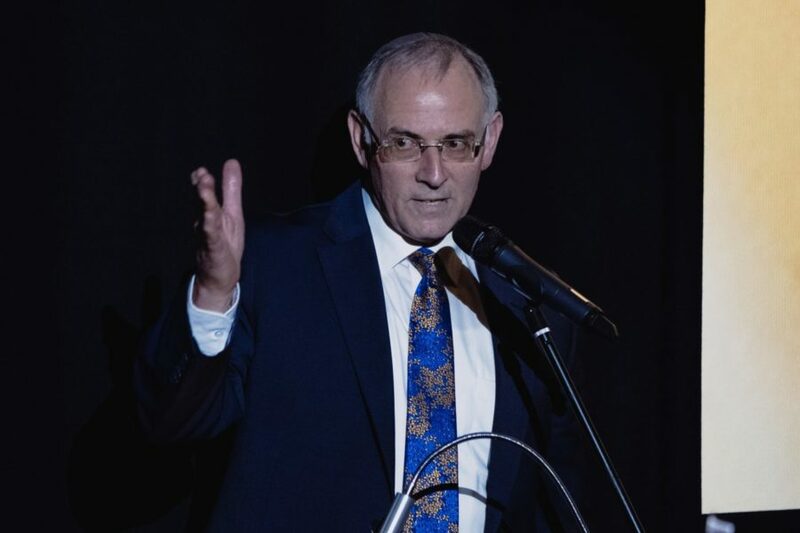 The melody was never written down or recorded, but over 70 years later one of the Theresienstadt children Weber treated – Aviva Bar-On – sung the piece from memory for the first time since the war. 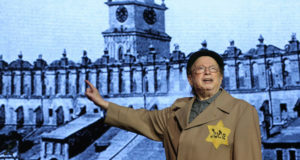 Other pieces include Tatata by Willy Rosen and Max Ehrlich. 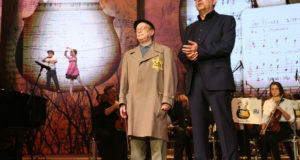 Just before their deportation from Westerbork to Auschwitz, where both were murdered, Rosen and Ehrlich managed to smuggle a folder of their manuscripts out of the camp. 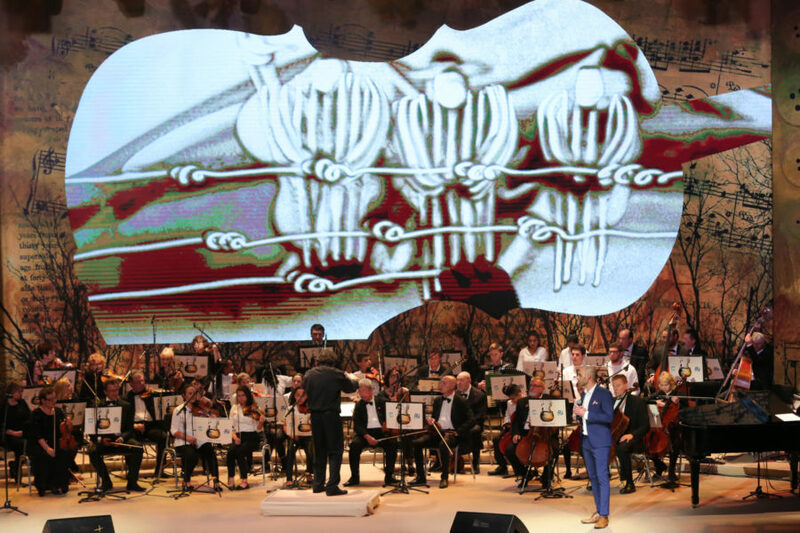 Decades later, the folder was discovered in an attic in the Netherlands, about to be thrown away. 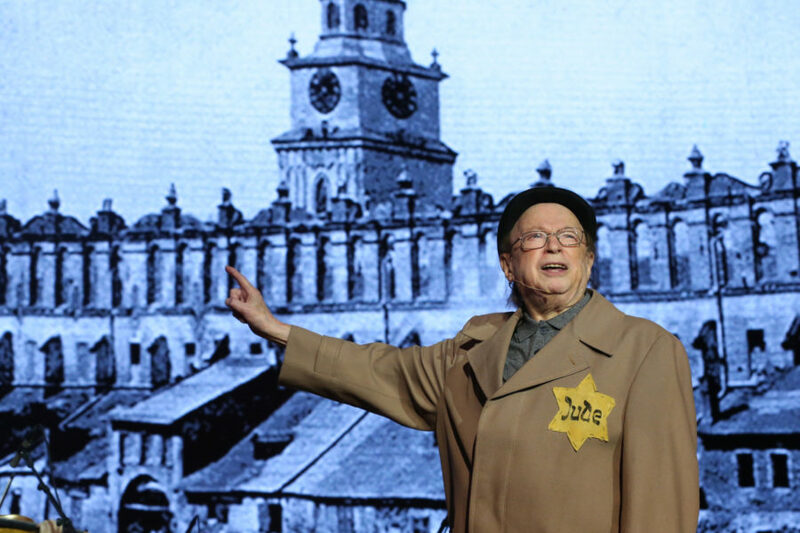 To hear one of the songs composed by Willy Rosen being performed click here. 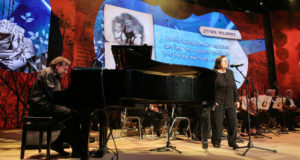 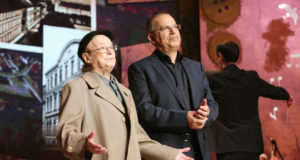 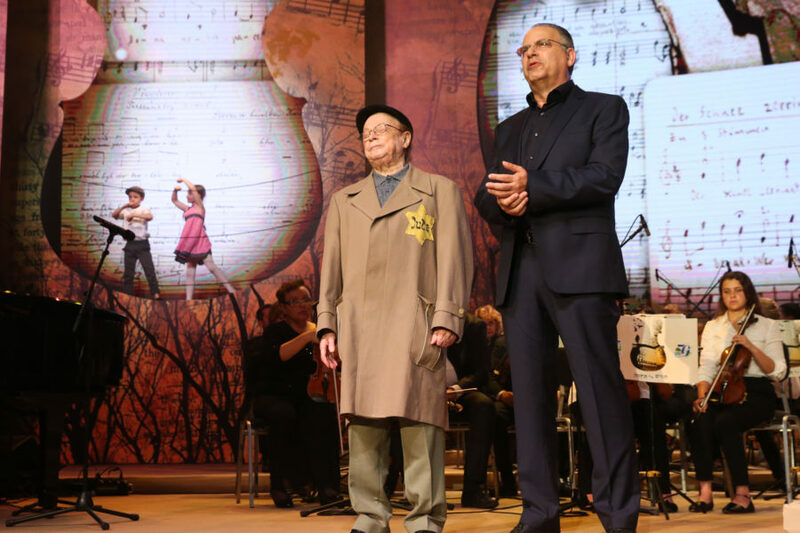 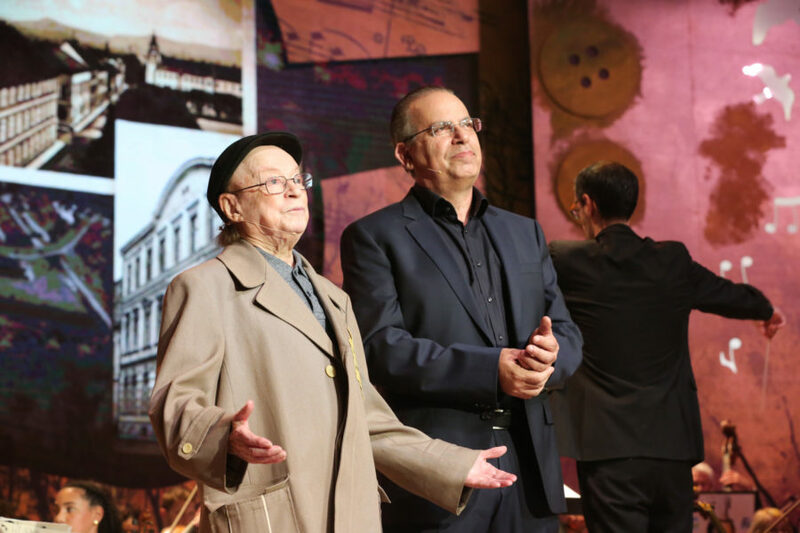 The various pieces, which were performed in Hebrew, Yiddish, German, Czech and Romani, were composed by inmates of a number of camps, including Auschwitz, Theresienstadt and Westerbork. 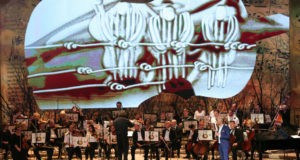 The concert also symbolically fell on the 73rd anniversary of the liberation of Bergen-Belsen. 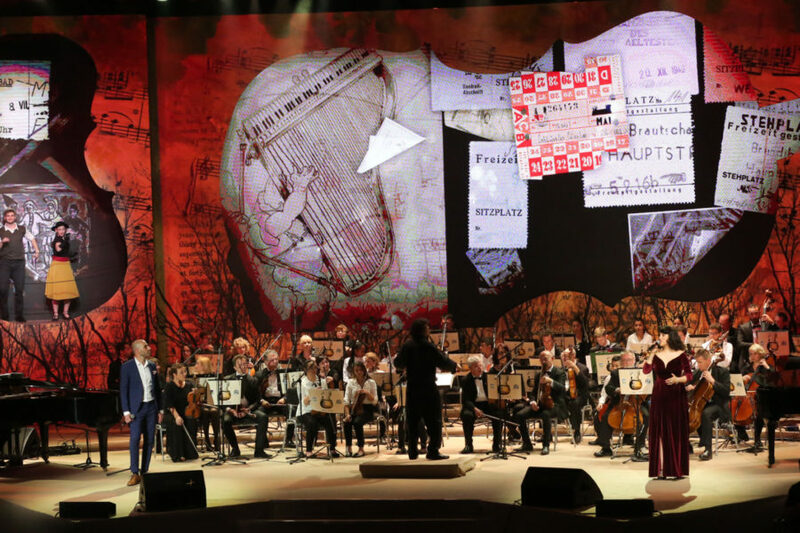 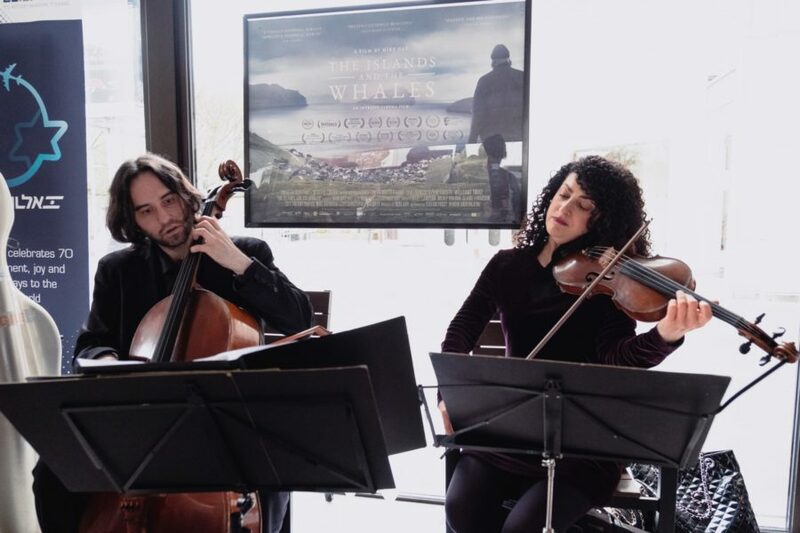 “The compositions from the concentration camps are a world heritage, a legacy to those artists who despite losing their freedom – in the most unimaginable circumstances – persevered through their music. 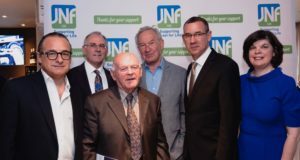 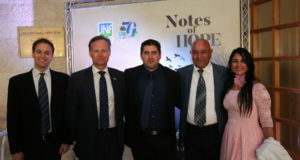 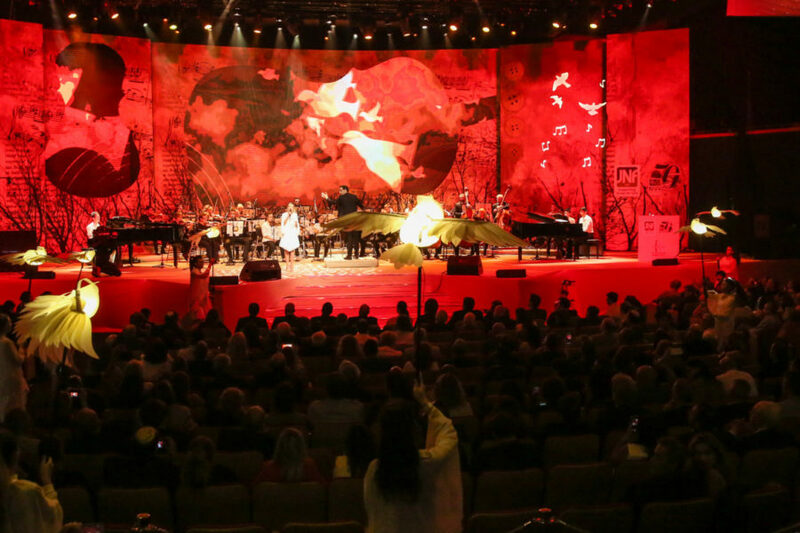 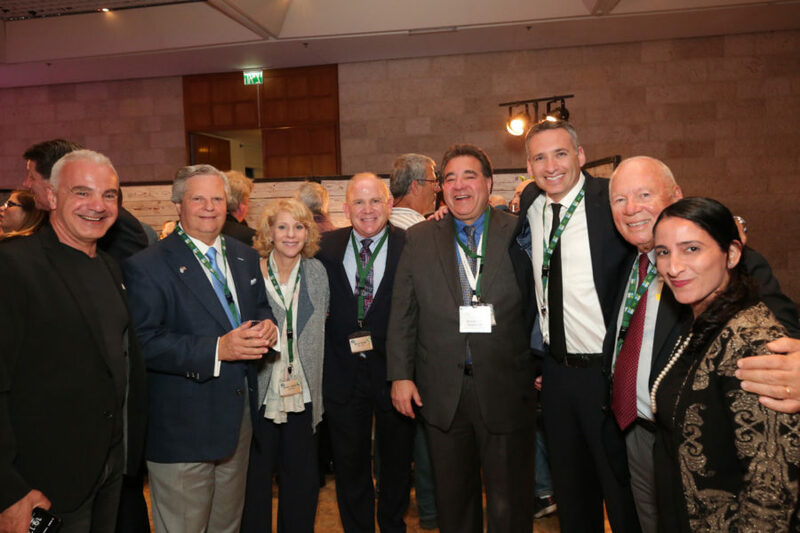 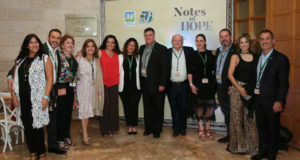 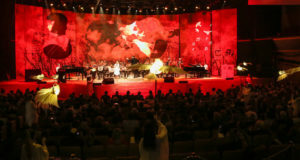 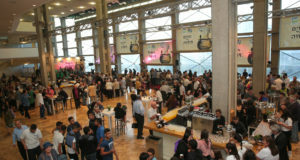 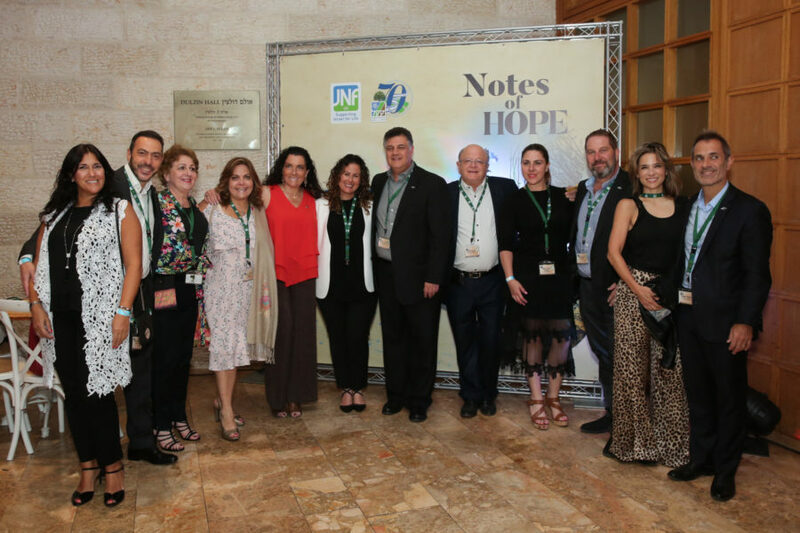 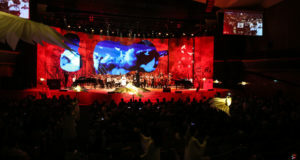 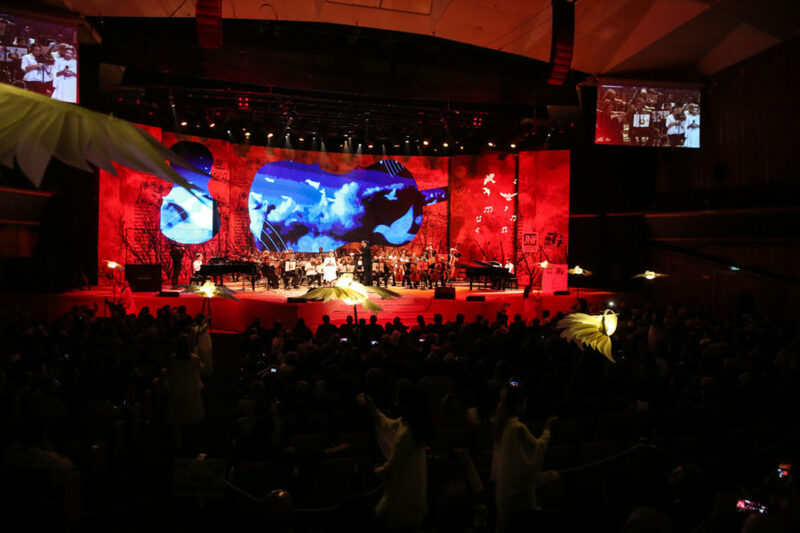 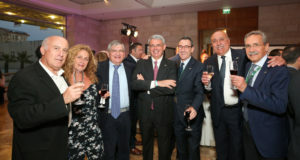 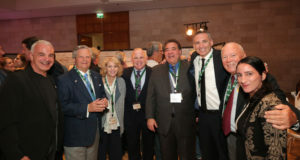 “JNF UK was very proud to stage the Notes of Hope concert in Jerusalem. 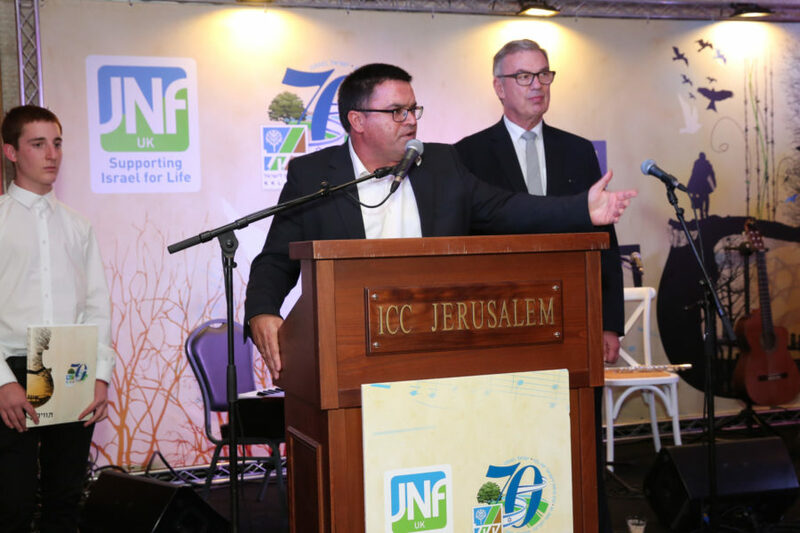 Throughout our history we have helped in the development of Israel, and supported the people of Israel including aspiring youth in the Negev. 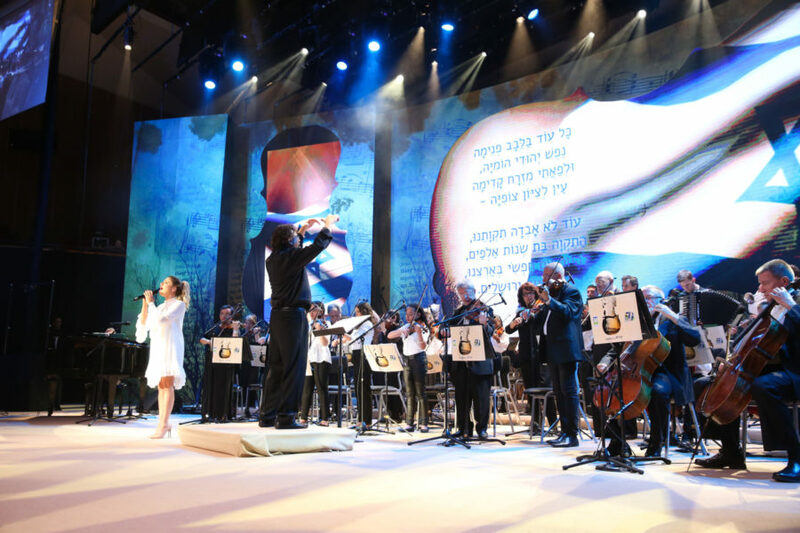 We are delighted the concert is facilitated students from the JNF UK-supported Bikurim Performing Arts School and the Yerucham Conservatory to work alongside world-class musicians. 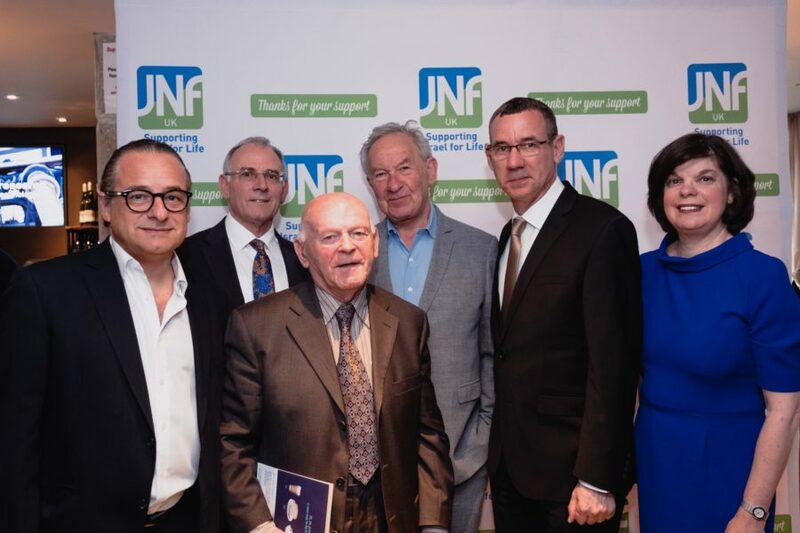 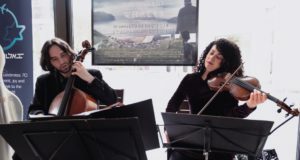 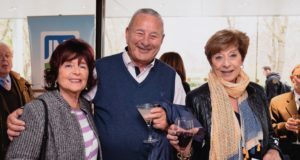 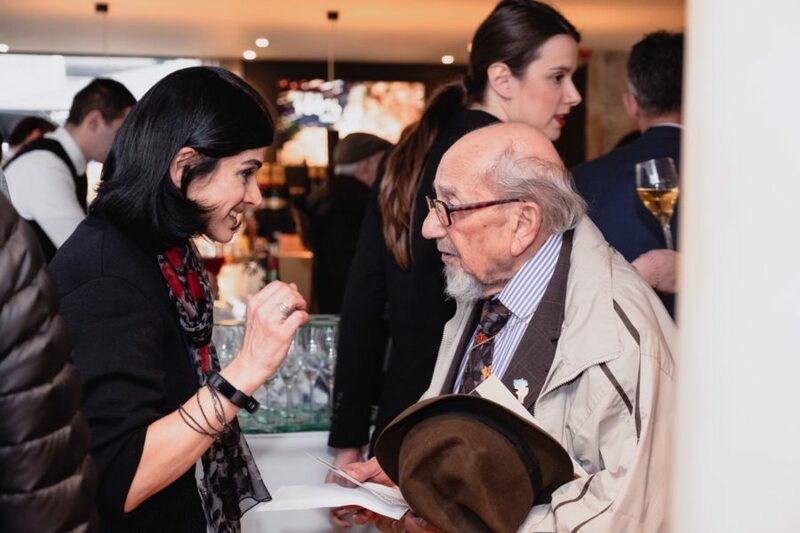 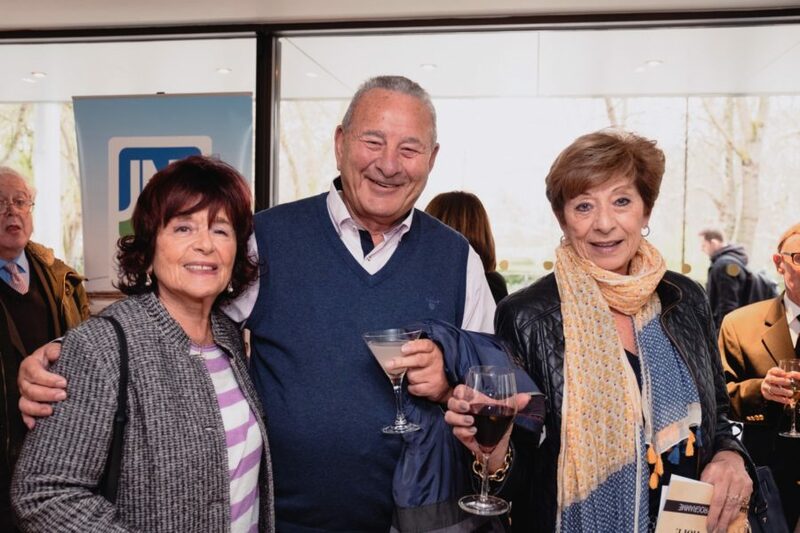 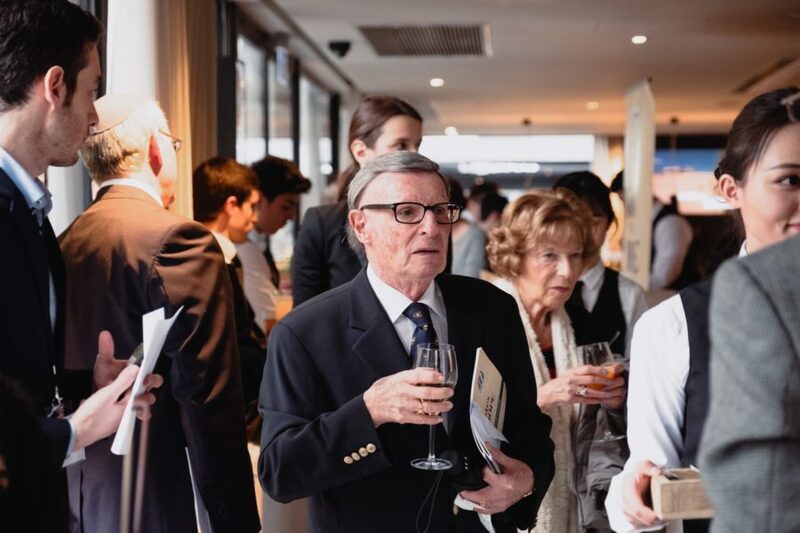 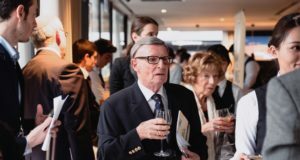 All proceeds from the event go to JNF UK projects supporting holocaust survivors and veterans in the Negev and to developing the talents of gifted young musicians from the Negev. 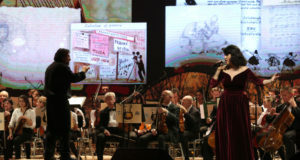 A CD of the music together with a DVD of the concert will be available to purchase soon. 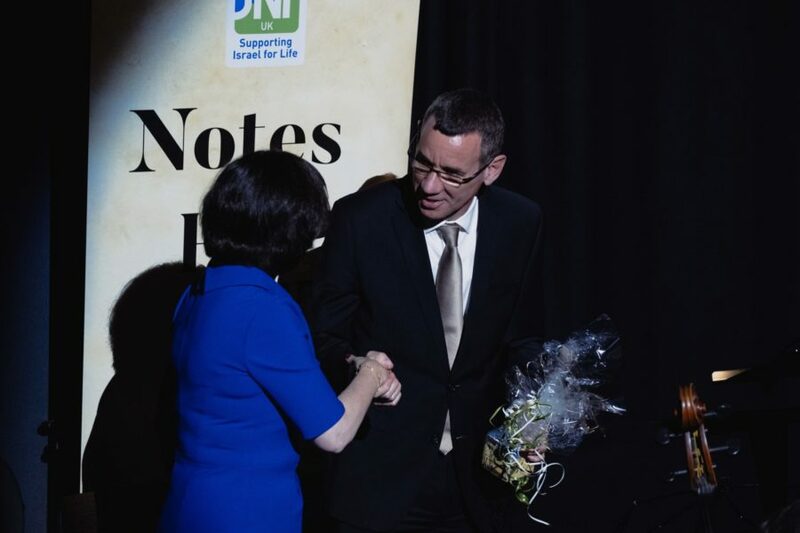 If you would like to register to receive a copy, please email us.